Join Dr. Miller for conversations with thought leaders, health and wellness experts, and global activists from a variety of fields. You will find valuable tools for healing at every level, from the personal to the planetary. With experts from fields ranging from science and medicine to philosophy and spirituality, Dr. Miller explores ancient wisdom, recent advances in transformational technology, practical tips for self-healing, meditations and guided imagery for awakening your personal and collective wisdom. Dr Miller shares about program: read more about the program, listen to free samples, and read articles on the site. 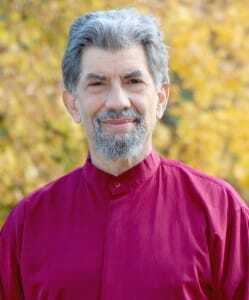 BIO: Widely acknowledged for his seminal work in the field of holistic health and Mind-Body Medicine (1970), physician Emmett Miller earned his MD from The Albert Einstein College of Medicine and has served as lecturer and preceptor at Stanford, University of California, as well as other universities and medical schools introducing his groundbreaking work in Mind-Body Medicine, mindfulness, and stress reduction. His chief contributions have been his discoveries of how thoughts, emotions, and mental images can be guided to have a profound impact on illnesses, wellness, and performance. Dr. Miller discovered that the unconscious part of the mind behaves in a way analogous to a digital computer; it perceives, reasons, and reacts the way it was programmed –ways that often produce negative or inadequate results. He found in his medical practice is that self–induced states of deep relaxation, meditation, or hypnosis made it possible to alter this programming through the use of mental imagery. This led to the development of his ‘Software for the Mind’ guided imagery recordings that soon became standard at such institutions as Mayo Clinic, Scripps, Mt. Sinai, and Kaiser, and are in widespread use by health and helping professionals and centers worldwide. Miller’s first book, Selective Awareness – Introduction to the Medicine of Mind and Body (1973), introduced his concepts for the first time. In 1977, he cofounded and served as and medical director of the Cancer Support and Education Center in Menlo Park, the first such institution in the world. 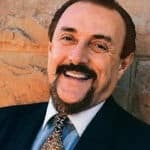 He has authored numerous other books, including the classic, Deep Healing – The Essence of Mind–Body Medicine, and his most recent, Our Culture on the Couch–7 Steps to Global Healing.